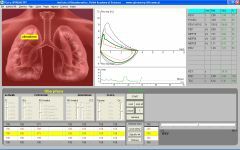 Tgol.e-spirometry™ is an interactive system for e-learing how to interpret the results of spirometry. It is founded on a virtual respiratory system. 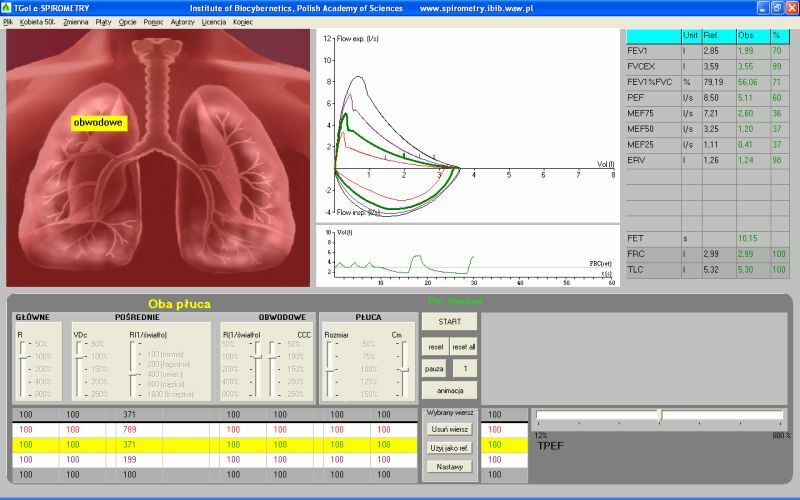 The user can change such properties of respiratory system as: resistance of main, intermediate and peripheral bronchi, size of lungs, compliance of the parenchyma etc., and observe the effects of these changes on the results of the forced expiratory maneuver. The program can be used free of charge for a limited time from the moment of installation. Further usage requires purchasing a licence. In certain cases your security application may ask you to confirm execution of the application. In that case you need to allow it in order to begin installation.